We recently added the ability to filter Transportation Requests by all of the status options (overdue, open, completed etc.) through the Grid and Calendar View. Take a look at this article from our Learning Center for more information on filtering your Calendar and Grid View. Have you ever wanted to copy one of your Transportation Requests or make a Transportation Request reoccurring? Now you can by simply selecting the paper icon in the grid view or by clicking into the request and selecting “Copy request”! You can now edit a Transportation Request’s details or change the assignment by clicking on the “Edit” button in the calendar view! We have released the ability for Transportation Request Approval Processes to show you exactly who needs to approve it (ex. Pending Principals Approval). This can be set up by the User Type! We made the mobile grid view for work request more user friendly! Select which fields you would like included on your mobile view by clicking on the settings button. When you are ready to take an action on a request, click on the three lines. To view the request on a full screen click on the request name in red. We also improved the mobile grid views for Planned Maintenance Requests, Schedule Requests, Equipment, and Buildings. Stay tuned because there are more mobile enhancements to come! You now have the ability to copy a Work Request! Just simply click on the Actions icon and then select "Copy". Check out this article from our Learning Center for more information on copying a request. Have you ever wanted to estimate a delivery time and date for your Purchase Order? Now you can on the Purchase Order form! To set this up, head to the “General” Organization Settings and scroll down to the Purchase Order Settings. Here you will find the field “Show estimated delivery date on order form ” which you can check to turn on this feature. Now you can estimate a schedule request before you approve it! This can be turned on by navigating to the “General” Organization Settings and scrolling down to the Schedule Request Settings. Here you will find a field titled “Allow estimating before approval” which you can check to turn this feature on. Just make sure to scroll to the bottom of the page and hit Save! Take a look at this article from our learning Center for more information on estimating a schedule request! You are now able to report on your Location Data and Custom Fields in the dashboards! Contact your Customer Success Manager if you would like this report set up for your FMX site! You can also view this article from our Learning Center for more information on reports. We have updated the wording of the Planned Maintenance Module in the Comprehensive Dashboard from Maintenance Occurrence to Planned Maintenance Task! 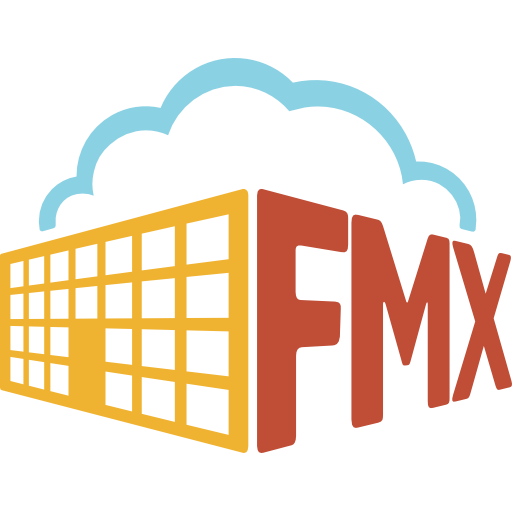 To access FMX API documentation, navigate to yourfmxsite.gofmx.com/api .